Nuremberg (German: Nürnberg) is a city in the German state of Bavaria, in the administrative region of Middle Franconia. 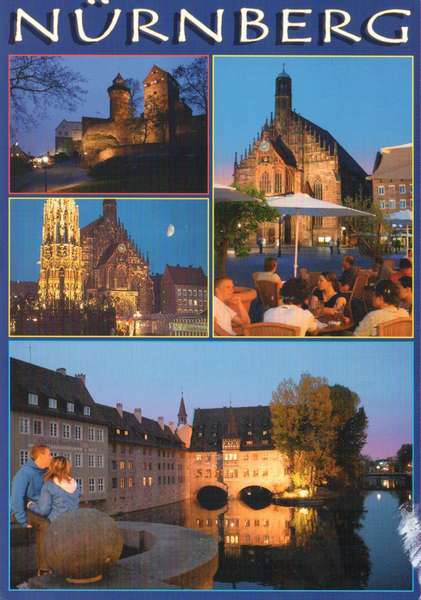 Situated on the Pegnitz river and the Rhine–Main–Danube Canal. Nuremberg was an early centre of humanism, science, printing, and mechanical invention. The city contributed much to the science of astronomy. In 1471 Johannes Mueller of Königsberg (Bavaria), later called Regiomontanus, built an astronomical observatory in Nuremberg and published many important astronomical charts.